Four hour’s drive north of Pally’Hi HQ, in the North West corner of Bavaria, are the Rhoen Mountains. Rising to almost 1000m, these dome shaped mountains, the weathered remains of volcanic batholiths, are neither as high as dramatic as the sedimentary Alps, but what they lack in stature they make up for in singletrack. Our weekend mission was based at the small town of Bischofsheim, located at the foot of Kreuzberg, the Rhoen’s third highest peak (it’s only third by 20cm!). 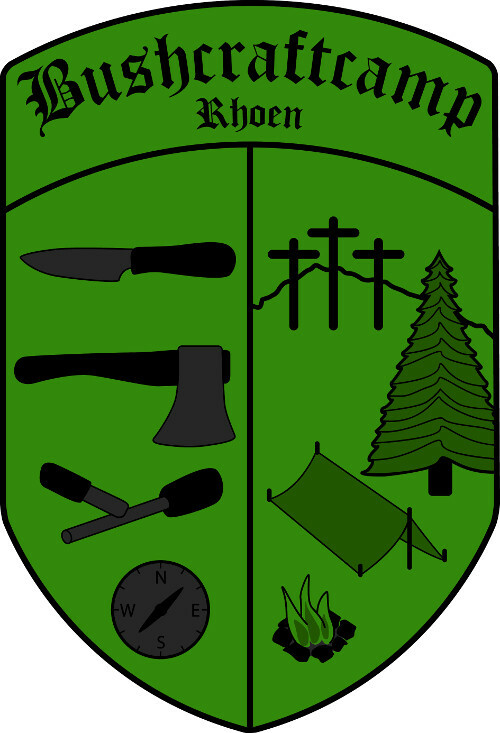 We were camping at the aptly name Rhoen Camping located on the South East flank of the town. From our base at Bischofsheim we were able to access the many trails criss-crossing their way around Kreuzberg, in particular the man-enhanced Kreuzberg Flowtrail which was our single reason for heading this far north. With no idea what to expect but a GPS full of potential trails we began the 500m vertical of ascent to the peak of Kreuzberg. One of the big advantages of the Rhoen mountains over their more southerly neighbours, the Alps, is that they rise far less steeply. For anybody used to pedalling up the steep switch-back fire roads of the Alps, the climbs in the Rhoen mountains are a breeze. Within an hour we had scaled to the peak of Kreuzberg and were sat enjoying lunch in the famous Kreuzberg Kloster located a short freewheel to the west of the peak. Chowing-down on Schweinebraten, Kloss and Rotkraut and washing it down with own-brewed Dunkel beer between ascent and descent might not be the choice of athletes, but when in Rhoen! After scoffing our performance nutrition we were ready for the descent. We started things off with the short ride to the Neustaedter Haus, following the many sign posts. We hadn’t expected much, but we were immediately introduced to the area’s potential with a trail in front of us littered with rocks and roots, bumps and natural berms. For the more proficient riders some challenging singletrack snaked its way alongside the trail offering technical rock sections, small drops and natural berms. After a mile of trail we had arrived at the Neustaedter Haus from which a short cycle brought us to the Flowtrail. Everybody loves a good flowtrail and this 2km rollercoaster is better than most. Jam-packed with fluid lines and loaded with features, it weaves its way through the forest with signposts that signal the difficulty of the upcoming line and always offer an easier alternative. We blasted our way down the course whooping and hollering, enjoying every second of the ride. The builders had seamlessly blended the feel of singletrack with the flow and features of a bike park, it’s awesome. What’s more, on days when the trail is waterlogged the team close the trail so that the trail isn’t damaged… so be sure to keep an eye on the weather and the trails Facebook page to avoid disappointment. After burning rubber and throwing-up dust clouds on the flowtrail we cycled along a road for 500m before joining a trail that darted abruptly from the road. We’d found some prime-time singletrack that lead us 3km downhill to the village of Schoenau an der Brend. Mindful that hikers might be in our path but gripped by the thrill of the trail we followed the path through the forest eating-up the vertical as we jumped natural kickers and ripped through unintentional berms. For intermediate mountain bikers this really is as good as it gets! The rest of the day was spent pedalling to the top and then discovering new lines down to Schoenau, whilst taking every opportunity to tweak our skills on the flowtrail. We felt like we’d discovered a mecca for mountain biking. However, the occasional sighting of fellow bikers and regular rider shuttles ferrying bikes and bikers to the peak, we have to acknowledge that Kreuzberg has been discovered and that it’s only a matter of time before everybody is talking about how good this place is! Thank you very much for your kind feedback on the Rhoen feature on the Pally’Hi blog, I’m pleased you liked it. I have to say, I have ridden all-over Bayern, the Fichtelgebirge, the Bayrischer Wald, Tegernsee and the Fränkische Schweiz and I can happily say, Kreuzberg is the best place I have ridden! Also, congratulations on the Flowtrail it’s really great. I hope it attracts more and more bikers to the area. I will definitely get in contact next time I visit, it would be great to discover the area with somebody who knows it well, so thank you very much for the kind offer. Keep up the good work and thanks again for the kind words.